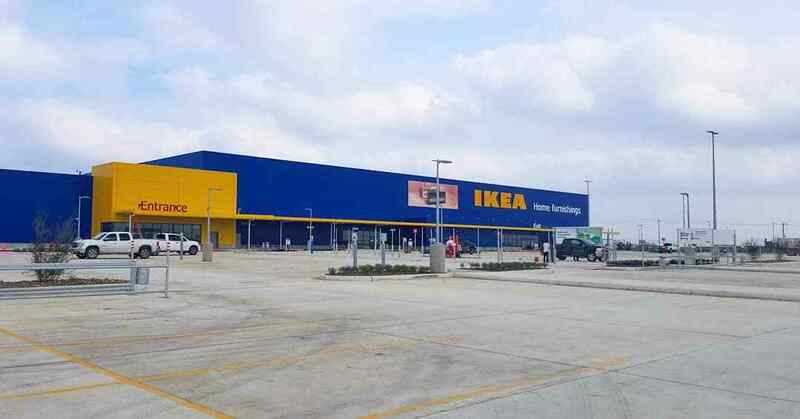 IKEA opens in Live Oak on Feb. 13 at 9 am, but customers can start lining up at 5 am. Visitors will be greeted with family-friendly events, special offers and a chance to win thousands of dollars in gift cards—including three gift cards valued at $500, $1,500 and $2,000. Throughout the entire day, visitors who join the IKEA FAMILY loyalty program or scan their IKEA FAMILY card in-store at an IKEA FAMILY kiosk, will also be automatically entered for a chance to win one of 20 $250 IKEA gift cards. Two winners will be randomly drawn and announced every hour from 10:30 a.m.-7:30 p.m. on opening day. Entertainment for customers waiting in line will start at 6 a.m., followed by the grand opening ceremony at 8:15 a.m. Doors will officially open at 9 a.m. Customers can learn more about the grand opening plans and promotions at IKEA-USA.com/LiveOak or by joining the free IKEA FAMILY loyalty program. Since its 1943 founding in Sweden, IKEA has offered home furnishings of good design and function at affordable prices. During the past year, 160,000 co-workers welcomed 838 million visits to IKEA stores and more than 2.35 billion visits to IKEA.com. Local entrepreneur aims to bring more shipping container homes to S.A.
It’s no secret that in San Antonio and much of the nation home prices are on the rise. Affordability is an issue in many communities, and this has led to thinking outside of the box when it comes to creating housing that is both affordable and appealing. The tiny house option is one way some are downsizing their living space as well as their debt. Shipping container homes are another unique dwelling option. Though not a new concept, these homes are not common in the San Antonio area, but master designer Anya K. Bartay wants to change that. She has designed a house on the East Side using two shipping containers, and she also can incorporate several of the 40′ x 8′ containers to build a multi-level home that’s as big as a traditional house. The base price for a 2,000 square-foot home is around $220,000. Her love of design and architecture began when she was a child. She spent part of her childhood in Panama and said that experience helped her appreciate the value of what we have in the United States. She also credits her life in Panama with spurring the creation of Project N.O.A.H which stands for Net Zero Affordable Housing. Bartay stresses she is not designing government housing but housing that is affordable. One of the homes she designed sits on the East Side and will become an Airbnb rental so that people can see what a shipping container home is like before they buy one. And soon, Bartay and her family will move into a container home she is building in Northeast San Antonio. It will be a model home she and her family will be living in for a year to provide data on how the house impacts the environment. Bartay recently discussed her plans to bring more shipping container homes to San Antonio. A: I’m working on a partnership with a factory that is already building shipping container homes to facilitate my need for the construction and to help them with their need for sales. We do have a subdivision that we have in mind. The owners of that property (on the Southside) said they will give us the land and we will create a neighborhood. Q: Why would someone choose to buy a shipping container home? A: The first thing is safety. The container is resistant to tornados, hurricanes, torrential winds. Lots of construction won’t withstand those different disasters. Q: How do people react to your project? A: When I give them a proper understanding of what container homes could look like, their reaction is wonderful. Q: How did you become interested in building shipping container homes? A: What I did was start doing searches and finding out what would be acceptable to present to people I worked with who needed a little bit of financial assistance getting their architectural needs met. So, shipping containers came up. Q: Have you talked to city officials? A: I have presented this to Bexar County Commissioner Tommy Calvert Jr., Senator Jose Menéndez, Neighborhood Housing Services of America and SAHA. And they’ve all agreed to using it. Q: So how did you get training to build these homes? A: Once I had a nonprofit ask me about my designs, and then I got an investor. I looked up the details on YouTube and I put them into practice and started doing the work myself. I’ve been drawing it for years, so it’s just doing it now. A: I have 75 percent masonry on the outside and all the different means that everyone has for permanent housing. We are embedded into the foundation. And one of the biggest things is that we provide a thermal insulation coating and a rust-o proof coating for the container so that we avoid mold or any kind of disease. Q: How much would a basic container home cost? A: $110 a square foot (40-foot long containers are used). We have closing costs and money down assistance for an FHA or conventional loan. Q: What type of foundation do the homes have? A: We can do piers if you have elasticity in the soil. And you can do a regular slab on grade if you have nice solid bedrock. Q: How long does it take to complete? A: It should take no more than three months, but we’re going to be striving for one and a half. Most of the construction happens in one day. If it’s a custom, we’ll say three to six months. Q: What are some of the things you can do to customize a container home? A: Instead of sheetrock, you may want to use wood paneling, or put brick on the outside, or have an accent wall. You can do a lot of different variations of finishes. Q: Do you help clients come up with a design? A: We try to help get the psychology behind the client’s needs and implement it into the design. A local East Side favorite is closing after nearly a decade of hosting live music to make way for a new technology and research center. 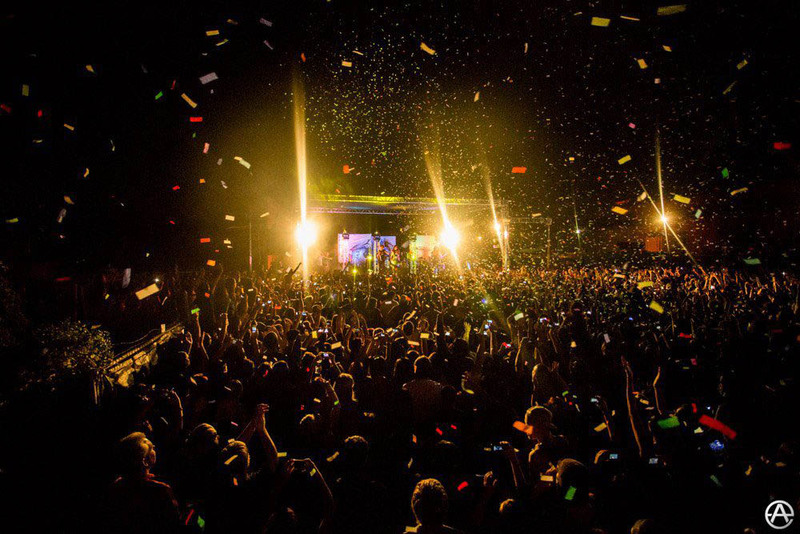 Texas Research and Technology Foundation purchased the Merchant’s Ice complex, a former industrial site, about two years ago, and soon became the landlord for the music venue. The city of San Antonio recently approved an incentive package for the foundation to begin a massive redevelopment of the Merchant’s Ice complex to include business startups, a research component, a hotel, and more. “All of us at Alamo City Music Hall can’t thank the community enough for your support over the years and to the bands and promoters, we are eternally grateful you chose our venue.,” Fernandez said. We will carry the memories with us forever. I will have updated information regarding a new venture for concerts in the near future. To read more about the redevelopment, go here. So, you have a pre-approval letter from your lender and you’re ready to go house hunting. Now, you must decide if you want to buy an existing home or have a house built. If you choose to build, will it be a tract home from one of the well-known builders or will you choose a custom home? A custom home is built to the specifications of the buyer, while tract homes feature similar styles and floor plans. Tract homes are what you see in most subdivisions. As a Realtor, I can help guide you through the process for buying any of these types of homes. But if you are considering a custom home, you’ll need land and design plans. Your lender can provide information about home construction loans. 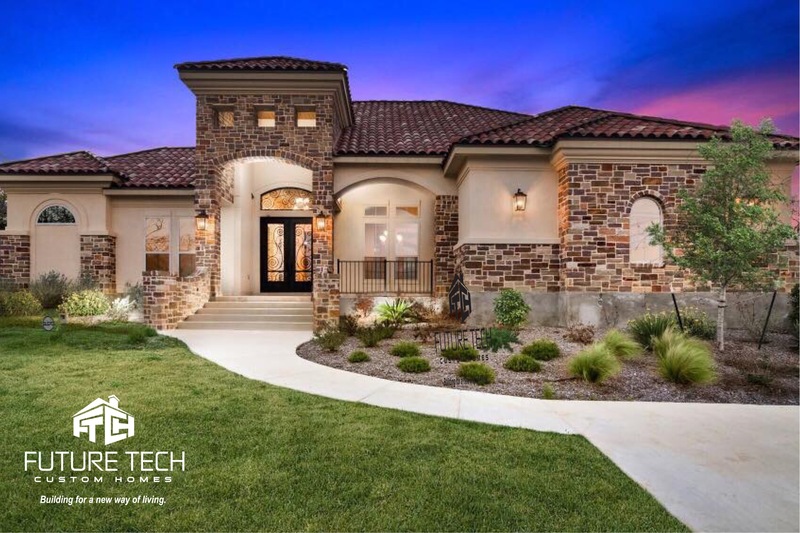 The San Antonio area has numerous custom home builders including Abraham Solis, chief of operations for Future Tech Custom Homes. Solis says his firm can offer construction loans at 4 percent interest and provide help with design plans. “We have three designers that you can work with each with different price ranges from low to high,” he said. Future Tech Custom Homes start at $250,000. Solis now runs the business that began with his father’s framing business 30 years ago. He and I recently talked about some basics of custom home building. Q: What surprises people most about the process? A: I think for us it was the timing. People were surprised at how fast we were. And surprised with how we work with them and how everybody treated them. A: For a big home, a million-dollar home, it generally takes about eight months. A: I have a little system before we even start. When we get the initial commitment contract signed, they put down a deposit and from there, I give them a checklist. They have to go and get all the materials for the flooring, everything, you name it. So, before we even begin anything, they already start doing that checklist. So right before I break ground, on day one, I’m already ordering floors, countertops things like that. Q: Do you help clients order the materials? A: We have vendors that we have been working with, so we can send them to our vendors. If they have vendors, that’s fine too. Q: Where do you build? A: We mainly build in the north area. We’ll go as far as Austin. Q: How would you describe Future Tech Custom Homes’ style? A: It’s Hill Country meets modern contemporary. You still have your metal roofs, the colors outside are the light beiges and on the inside, it has a Spanish feel. Q: Why is Tech part of the name? A: The smart homes. There’s a crew that we work with, they fully automated one of our homes. Apple watches can be used to turn on lights and appliances. People really like that. Q: How much would that technology cost? A: A good setup would cost about $10,000 or $15,000 for a fully-automated home. Q: Do most people want one or two stories? A: One story. People just don’t like to go up the stairs. Another thing that I also heard is that they like to do away with dining rooms as well. They want a nook, that’s it. An open floor plan and a little nook on the side. A: One couple had a foyer with a dome ceiling and the woman wanted gold flakes up there. They ended up going with this copper type paint. It shined, it looked beautiful. Q: Why would someone have a custom home built? A: I’ll say it the way my dad would say it. In a custom home, you get what you want. Everything is pretty much beefed up on a custom home. You’ll get your bang for your buck.